DANNENBERG: German police battled thousands of anti-nuclear protestors Sunday, many chained to railroad tracks, who have caused delays as they try to block a train carrying radioactive waste. The convoy taking the German waste on a 1,200-kilometre (750-mile) journey from a reprocessing centre in northwestern France to a storage facility in northern Germany was stopped for 18 hours, including overnight, amid mass demonstrations. Thousands of activists swarmed the tracks along the route near the train’s final destination in Dannenberg and boasted that the odyssey’s duration had now topped the 92-hour record set during a shipment one year ago. Police said they detained about 1,300 people, including some who had chained themselves to the railway, requiring tricky and time-consuming operations to free them before the train could slowly rumble on. Some 150 people were injured in clashes, most of them demonstrators, according to security forces quoted by German news agency DPA. The waste, produced in German reactors several years ago and then sent to France for reprocessing, began its journey in a yard operated by French nuclear company Areva in Valognes, Normandy Wednesday. The protestors argue that the shipment by train of spent fuel rods is hazardous and note that Germany, like the rest of Europe, has no permanent storage site for the waste, which will remain dangerous for thousands of years. They are also angry that a pledged German phase-out of nuclear power, hastily agreed this year in the wake of the Fukushima disaster in Japan, will take another decade to implement. At the train’s final destination of Dannenberg, the 11 containers of waste are due to be unloaded onto trucks for the final 20-kilometre leg of the journey by road to the Gorleben storage facility on the River Elbe. Organisers said about 23,000 protestors had gathered in Dannenberg, while police put the number at 8,000. About 20,000 police have been deployed along the train’s German route. The demonstrators had travelled from across Germany as well as from Belgium, the Netherlands, France and Italy, organisers said. No other sphere of Russia’s foreign policy is subject to such wide-ranging scrutiny as Moscow’s policy towards Iran. Conservative American analysts in think-tanks such as the Heritage Foundation often view Russia as a tacit ally of Iran, turning a blind eye to its dangerous nuclear programme and ignoring the Iranian regime’s aggressive form of Islamist fundamentalism. Israeli government officials, when visiting Moscow, persistently point to the divergence of Russia’s national interests with those of Iran, citing Russia’s own troubles with Islamist fundamentalism in the North Caucasus and, earlier, in Central Asia and Afghanistan. Obviously pursuing their country’s national interest, those Israeli officials believe in the possibility of a return to the very cold peace that existed between the Soviet Union and Iran in the Eighties, when Moscow was very wary of the effect of Ayatollah Khomeini’s teachings on its Muslim minorities. So what is the Russian authorities’ attitude now? And where does Russia’s national interest in the Iranian question lie? The truth is that the Kremlin has been sending out a whole array of signals on the issue, some of which are contradictory. On the one hand, Russia stopped selling or transiting any kind of weapons to Iran, fulfilling UN resolution 1929, which was adopted in June 2010. This meant cancelling the contract to ship S-300 surface-to-air missiles to Iran, which could have helped the Iranians to challenge Israel’s superiority in the air. On the other hand, Russia finished the construction of the nuclear power station in Bushehr. Where is the logic? Actually, the logic is very simple: Russia is concerned about Iran’s nuclear programme. It has no sympathy for Islamist fundamentalism but, considering Iran is right next to Russia’s border and to the borders of Azerbaijan, a former Soviet republic with a several million-strong Azeri minority in Iran, it is extremely keen to avoid a war breaking out on its doorstep. It is not too difficult to guess in which direction the Azeri minority would flee from Iran in the event of it being turned into a war zone. Azeris are already the biggest Muslim minority in Russia. Hence Russia’s strong desire to see Iran at peace with other countries and to have a peaceful nuclear programme. Incidentally, the Nuclear Non-Proliferation Treaty (NPT), of which Iran is a signatory, obliges nuclear powers to help non-nuclear countries to develop the peaceful use of atomic energy. The balancing act between Iran and the West, which Russia has to perform, however, is becoming more and more difficult. It should be said that Iran has shown remarkable restraint in its reaction to a number of regional wars in which Russia has been a party in recent years. Unlike certain Western circles, Iran never provided help to anti-Russian mudjaheddin in Afghanistan or to the Chechen rebels, and it stayed largely neutral in the conflict between Armenia and Azerbaijan, despite an obvious temptation to show solidarity with its Muslim brothers. Tehran’s restraint in Russia- related issues is ever more laudable, since Iran historically has had little positive sentiment about Russia. Modern Azerbaijan had for centuries been a part of the Iranian empire, and Georgia was in its zone of influence until the Russian tsars wrestled the territories away from Iran in the early 19th century. In his childhood, Ayatollah Khomeini was a witness to the joint Soviet-British occupation of Iran in 1941. But despite the troubled history, Iran’s rhetoric on Russia is in most cases less critical than that of some members of the EU . The recent Western interventions in Iraq, and even more recently in Libya, make Russia suspicious of what lies behind Western hostility towards Iran. Iranian restraint in Afghanistan and the Caucasus makes Russians somewhat sceptical about the information on Iran’s support for extremists in the Middle East – a region which is becoming more and more distanced and estranged from Russia. Hence Russia’s unwillingness to see Iran condemned and punished by the West according to the Iraqi or Libyan scenario. ISLAMABAD: The Nato attack on two military check posts in the Mohmand Agency early Saturday morning was an “unprovoked act of blatant aggression,” said the Director General of Military Operations (DGMO) Major General Ishfaq Nadeem on Tuesday, adding that all options remained open to the government and the military. “The final decision rests with the prime minister.We are considering a range of options,” he told journalists at a briefing, adding that the military will have its input into the decisions taken. A review of the incident is under way at the GHQ, he said. The DGMO said he was not authorised to comment on what specific counter measures were being considered to cope with such situations in the future and added these would be finalised after the completion of the continuing investigation into the incident. He went into comprehensive detail about the sequence of events known so far, explaining that a check post code-named Volcano first came under attack at around 15 to 30 minutes after midnight. A nearby check post, code-named Boulder, responded with 12.7 mm anti-aircraft weapons and mortars after the Volcano check post came under attack from gunship helicopters. Subsequently, check post Boulder also came under attack and all communication was lost with both check posts. But before communication was lost, company commander Major Mujahid headed for Volcano and Boulder to investigate and was killed as the helicopters re-engaged. Amongst the 24 men killed that night was also Captain Usman who leaves behind a widow and a 3-month-old baby daughter. The DGMO said the two posts were located at a place from where there has been no cross-border infiltration, though militant attacks from the other side had been continuing. Settled villages were two-three kilometres away from the posts and the posts themselves were about 300-400 metres inside Pakistan borders. The two check posts, he maintained, could not be mistaken for militant sanctuaries because the other side had been provided all available information about the number of Pakistani posts and their locations. The men at the posts were uniformed and the posts were well-defined. The DGMO further said the Pakistan Army believed that Nato was monitoring the transmissions that night and knew they had hit Volcano checkpost. The posts were being manned by the experienced and battle-hardened 7-AK battalion which was equipped with both line and wireless communications equipment, but armed for dealing only with militant activity but not repelling an aerial assault. “The troops are geared for fighting terrorists and not border security,” he said. The Pakistan Army maintains an 8,200 man presence in Mohmand Agency following military operations to clear the region of militants, with 29 border checkposts in along the border while there are only 14 on the Afghan side, manned predominantly by Afghan police. A total of 820 check posts are maintained in the tribal belt along the border. By 1 a.m. all channels of communications with the other side were activated and the helicopters were pulled back. But as Pakistani troops moved from one post to the other to assess the damage and aid the injured, the helicopters reappeared and pinned them down. Some 26 artillery airbursts were fired by the Pakistani side and the engagement lasted until 0215. Answering a question, he said the civil authorities including the president, the prime minister and the foreign and defence ministers were informed in the “morning” about the incident which began around midnight and lasted for two hours. The reason for the implied delay in informing the civil authorities, he said, was because a complete picture had not emerged until daybreak. It was clear from General Nadeem’s briefing that there was misleading information being provided to the Pakistan military from the start. Just before the attack, a Pakistani officer at the regional tactical center was informed by an American sergeant that their special forces had received indirect fire from Gora Pai, located some 15 kilometres away from Volcano post. And after 7 minutes, a woman officer informed him that the fire had, in fact, come from Volcano, which had been hit in retaliation. The DGMO was dismissive of previous joint inquiries conducted into three earlier incidents. “There have been joint inquiries and they all came to naught. They give a version not based on facts as we know them,” he said, adding that Pakistan did not initiate firing at any point that night. The DGMO listed the standard operating procedures that exists in the border coordination mechanism that entails sharing information on impending operations in advance, particularly if these operations come within two kilometers of the border; to immediately communicate if one side comes under fire with the responsibility to take action from the country from where the attack originated; and cessation of fire when communication established. “All SOPs were violated that night,” said General Nadeem. He further elaborated that while the helicopters intruded into Pakistani airspace on an intermittent basis, supporting jets did not enter Pakistani airspace. The central question remains why the Pakistan Air Force did not respond immediately to the attack. General Nadeem said there was “a haze” at the time, adding Pakistan Air Force interceptors did not scramble when the two helicopters from the other side violated the border, because initially it seemed the violation was only marginal. Furthermore, according to him, the two helicopters had pulled back midway through giving the impression the attack had ended, but returned for another attack. New Delhi, Nov. 28: The Hamid Karzai government today awarded an Indian consortium mining rights to develop three of the four blocks of Afghanistan’s huge Hajigak iron ore deposits, signalling a greater role for Delhi in the war-torn country. Till now, India has mainly focused its aid to Afghanistan in developing smaller infrastructure projects like culverts and roads. Sources said the contract awarded to the Afghan Iron and Steel Consortium (AFISCO), led by state-run steel maker SAIL, had the potential to become the landlocked country’s single-biggest foreign investment project. In a statement, Afghanistan’s ministry of mines said the development of the blocks was “expected to bring billions of dollars in mining investment and thousands of new jobs to Afghanistan”. The statement said the companies had also “pledged substantial support for railway, power, and other infrastructure development within the country, as well as major support for education and training programmes”. The Hajigak blocks, in the mountainous Bamyan province 130km west of Kabul, are one of Asia’s largest iron ore deposits that are yet to be mined. According to a 1960 estimate, the blocks hold an estimated 1.8 billion tonnes of iron ore. The contract came within a month after Delhi and Kabul signed a strategic partnership agreement on Indian investments in the Afghan mining sector. According to the announcement, the consortium has been awarded the rights to blocks B, C, and D, with block A going to Canadian firm Kilo Gold Company. Sources said the Indian consortium — which also includes the National Mineral Development Corporation, Monnet Ispat and Energy Limited, Rashtriya Ispat Nigam Limited, JSW Steel Limited, Jindal Steel Power Limited and JSW Ispat Steel Limited — could invest $6 billion in the mines, construct a steel plant and a railway network. The development, unlikely to be welcomed in Islamabad which resents closer Delhi-Kabul ties, signals a much greater role for India in Afghanistan in the years to come, particularly after the scheduled departure of Nato forces by 2014. However, it would also mean more Indians will have to be sent to Afghanistan at a time violence in the region has peaked. Over the past couple of years, Delhi had looked to scale down its investments in Afghanistan because of terror attacks that targeted Indian interests. India has already pledged $2 billion in Afghan infrastructure and development projects, including erecting a new parliament building. 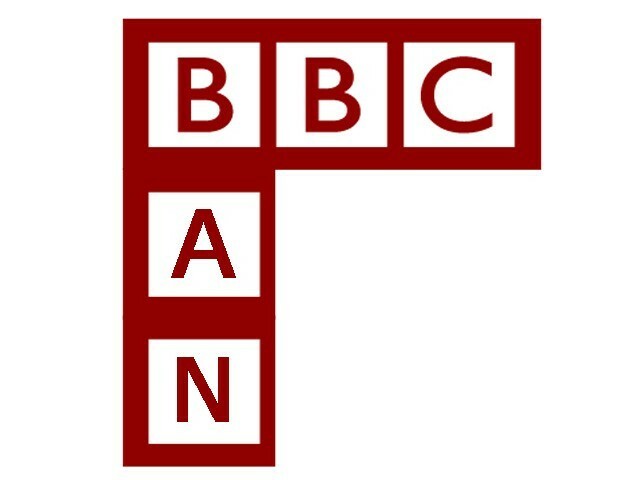 The operators named BBC News as one of the channels to be closed down. Popular British news channel, BBC World News was taken off air by a number of Pakistani cable television operators late on Tuesday after proclaiming to ‘ban’ the channel for airing anti-Pakistan programming following a NATO air strike on a Pakistani border check post that killed 24 Pakistani soldiers. The All Pakistan Cable Operators Association (APCOA), a body of cable tv operators, held a press briefing in Lahore where they demanded the country’s primary electronic media regulator, the Pakistan Electronic Media Regulatory Authority (PEMRA) to revoke landing rights to BBC. APCOA chairman, Kamran Arain said “we want to send them a strong message to stop this. If they don’t stop this, then it is our right to stop them,” referring to pulling the channel off from their cable networks. The operators say that the move is in response to a documentary broadcast by the channel, entitled Secret Pakistan. Other foreign TV channels found guilty of broadcasting “anti-Pakistan” content will also be blocked, they threatened. The BBC said it was deeply concerned by the move, and called for its channel to be speedily reinstated. “We condemn any action that threatens our editorial independence and prevents audiences from accessing our impartial international news service,” a BBC spokesperson said. However, the channel was off air soon after the APCOA press conference was over. “BBC signal just disappeared in my Islamabad office, following Pakistani cable operators to cut signal over “anti-Pakistan” programming”. A two-part BBC documentary, “Secret Pakistan“, questioned the country’s commitment to tackling Taliban militancy. It furthered festering Pakistani anger towards the west after a NATO air stirke on a Pakistani border check post killed 24 soldiers. It argued that some in Pakistan were playing a double game, quoting US intelligence officials as saying that they acted as America’s ally in public while secretly training and arming the Taliban in Afghanistan. The decision to block BBC World News and other international news channels comes after a media uproar in Pakistan over a Nato air strike that killed 24 Pakistani troops near the Afghan border at the weekend. The DDC took the following decisions: a) to close NATO’s transit routes through Pakistani territory with immediate effect; b) to ask the US to vacate Shamsi airbase within 15 days; c) to “revisit and undertake a complete review” of all “programs, activities and cooperative arrangements” with US, NATO and the International Security Assistance Force (ISAF), including in “diplomatic, political and intelligence” areas; d) to announce shortly a whole range of further measures apropos Pakistan’s future cooperation with US, NATO and ISAF. The response stops short of declaring the termination of Pakistan’s participation in the US-led war in Afghanistan (which, incidentally, is the demand by Pakistani politician Imran Khan who is considered to be close to the Pakistani military circles). In essence, however, Pakistan is within inches of doing that. The closure of the US-NATO transit routes through Pakistan territory may not immediately affect the coalition forces in Afghanistan, as it has built up reserve stocks that could last several weeks. But the depletion of the reserves would cause anxiety if the Pakistani embargo is prolonged, which cannot be ruled out. Therefore, the Pakistani move is going to affect the NATO operations in Afghanistan, since around half the supplies for US-NATO troops still go via Pakistan. An alternative for the US and NATO will be to rely more on the transit routes of the Northern Distribution Network [NDN]. But the US and NATO’s dependence on the NDN always carried a political price tag – Russia’s cooperation. Moscow is agitated about the US regional policies. The NATO intervention in Libya caused friction, which deepened the Russian angst over the US’s perceived lack of seriousness to regard it as equal partner and its cherry-picking or “selective partnership”. Then, there are other specific issues that agitate Moscow: US’s push for “regime change” in Syria, the US and NATO appearance in the Black Sea region, continued deployment of US missile defense system, and the push for US military bases in Afghanistan. In addition, Moscow has already begun circling wagons over the US “New Silk Road” initiative and its thrust into Central Asia. The future of the US-Russia reset remains uncertain. Washington barely disguises its visceral dislike of the prospect of Vladimir Putin’s return to the Kremlin following the presidential election in March next year. Short of bravado, the US and NATO should not brag that they have the NDN option up their sleeve in lieu of the Pakistani transit routes. The Pakistani military knows this, too. Equally, the closure of the Shamsi airbase can hurt the US drone operations. Pakistan has so far turned a blind eye to the drone attacks, even conniving with them. Shamsi, despite the US’s insistence that drone operations were conducted from bases in Afghanistan, surely had a significant role in terms of intelligence back-up and logistical support. By demanding that the US vacate Shamsi, Pakistan is possibly shifting its stance on the drone attacks; its doublespeak may be ending. Pakistan is ”strengthening” its air defense on the Afghan-Pakistan border. Future US drone operations may have to be conducted factoring in the possibility that Pakistan might regard them as violations of its air space. The US is on slippery ground under international law and the United Nations Charter. The big issue is how Pakistan proposes to continue with its cooperation with the US-NATO operations. Public opinion is leaning heavily toward dissociating with the US-led war. The government’s announcement on the course of relations with the US/NATO/ISAF can be expected as early as next week. The future of the war hangs by a thread. Unlike during previous phases of US-Pakistan tensions Washington lacks a “Pakistan hand” to constructively engage Islamabad. The late Richard Holbrooke, former special AfPak envoy, has become distant memory and special representative Marc Grossman has not been able to step into his shoes. Admiral Mike Mullen has retired as chairman of the Joint Chiefs of Staff and is now a ‘burnt-out case’ embroiled in controversies with the Pakistani military. Central Intelligence Agency director David Petraeus isn’t terribly popular in Islamabad after his stint leading the US Central Command, while his predecessor as spy chief and now Defense Secretary Leon Panetta always remained a distant figure. US Secretary of State Hillary Clinton is a charming politician, but certainly not cut out for the role of networking with the Pakistani generals at the operational level. She could perhaps offer a healing touch once the bleeding wound is cleansed of dirt, stitched up and bandaged. And US President Barack Obama, of course, never cared to establish personal chemistry with a Pakistani leader, as he would with Indian Prime Minister Manmohan Singh. Now, who could do that in Washington? The horrible truth is – no one. It is a shocking state of affairs for a superpower with over 100,000 troops deployed out there in the tangled mountains in Pakistan’s vicinity. There has been a colossal breakdown of diplomacy at the political, military and intelligence level. Washington trusted former Pakistani ambassador Hussein Haqqani almost as its own special envoy to Islamabad, but he has been summarily replaced under strange circumstances – probably, for the very same reason. At the end of the day, an intriguing question keeps popping up: Can it be that Pakistan is simply not interested anymore in dialoguing with the Obama administration? The heart of the matter is that the Pakistani citadel has pulled back the bridges leading to it from across the surrounding crocodile-infested moat. This hunkering down is going to be Obama’s key problem. Pakistan is boycotting the Bonn Conference II on December 2. This hunkering down should worry the US more than any Pakistani military response to the NATO strike. The US would know from the Iranian experience that it has no answer for the sort of strategic defiance that an unfriendly nation resolute in its will to resist can put up against an ‘enemy’ it genuinely considers ‘satanic’. Washington may have seriously erred if the intention Friday night was to draw out the Pakistani military into a retaliatory mode and then to hit it with a sledgehammer and make it crawl on its knees pleading mercy. Things aren’t going to work that way. Pakistan is going to give a “Persian” response. The regional situation works in Pakistan’s favor. The recent Istanbul conference (November 2) showed up Russia, China, Pakistan and Iran sharing a platform of opposition to the US bases in Afghanistan in the post-2014 period. The Obama administration’s grandiose scheme to transform the 89-year period ahead as ‘America’s Pacific Century’ makes Pakistan a hugely important partner for China. At the very minimum, Russia has stakes in encouraging Pakistan’s strategic autonomy. So does Iran. None of these major regional powers wants the deployment of the US missile defense system in the Hindu Kush and Pakistan is bent on exorcising the region of the military presence of the US and its allies. That is also the real meaning of Pakistan’s induction as a full member of the Shanghai Cooperation Organization, which is on the cards.